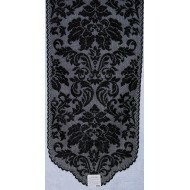 Heritage Damask 14 x 34 black table runner Heritage Lace. 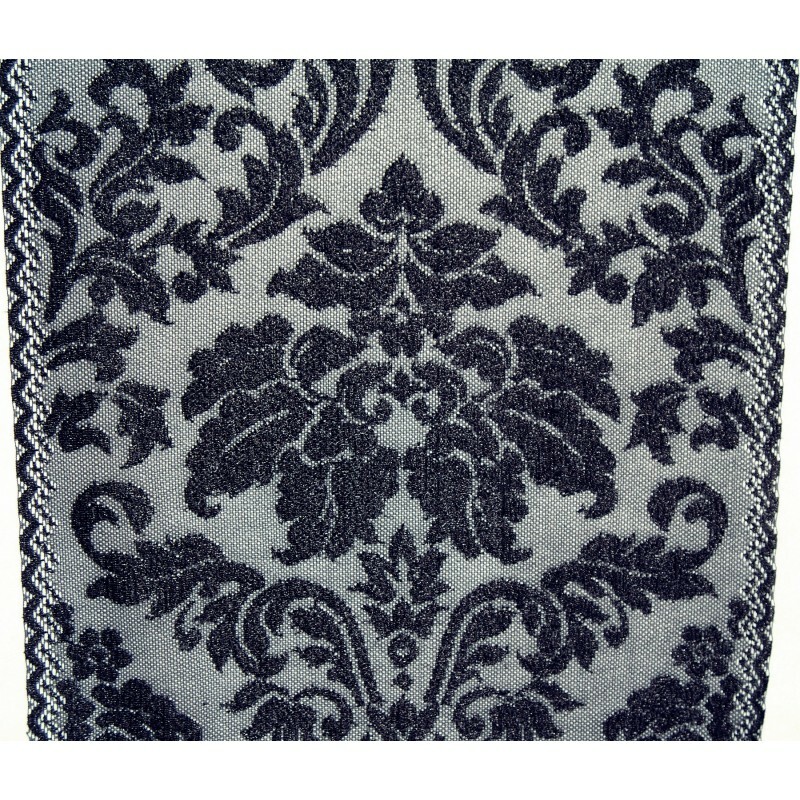 The versatile look of modern baroque -- traditional and formal, or fashionable and fun. 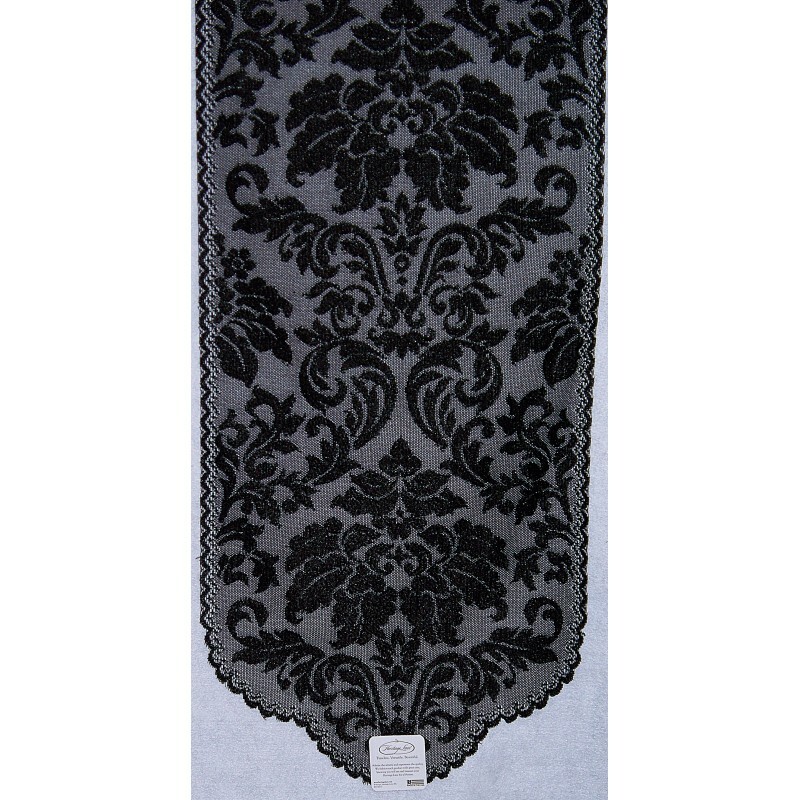 Heritage Damask dresses tabletops in elegant clipped embroidery home textiles with a pearlescent tone. 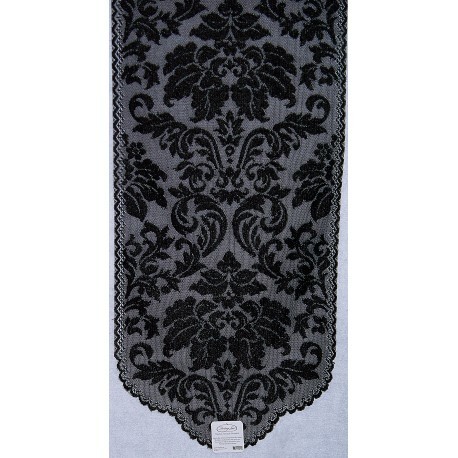 Must see to appreciate as this has the expensive look and style that will fit your budget. Pattern has been retired. Color: All black. No white at all. Care: Machine wash cold-gentle. Do not bleach. Lay flat or hang to dry.